INDIANAPOLIS - Indy's first walk-off win from the 2018 campaign didn't come until the season's second month, but it was well worth the wait. On May 3 against Gwinnett, the Indians scored two runs in the bottom of the ninth on an Erich Weiss double to stun the Stripers, 3-2. Weiss' clutch two-out hit capped a shaky ninth inning for right-hander Josh Ravin. With one away, Jacob Stallings reached safely on a fielding error by Ravin and took second on a Pablo Reyes two-out single to right. Weiss' two-bagger then split the gap in right-center field, scoring both Stallings and Reyes for the tying and winning runs. The Indians led 1-0 after one inning. Facing southpaw Kolby Allard, the Tribe played small ball to grab the early advantage. 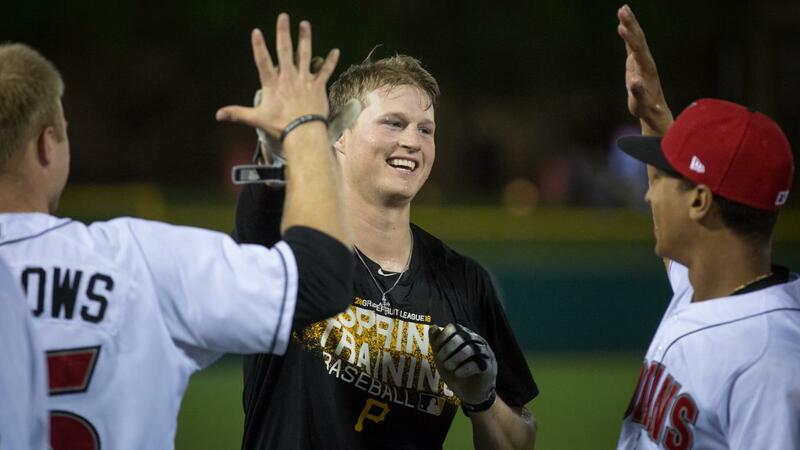 Kevin Newman opened the frame with a single, took second on a sacrifice bunt by Austin Meadows and eventually swiped third base as part of a double steal with Jordan Luplow. Eric Wood promptly scored Newman with a groundout to third. Indians starter Casey Sadler tossed 5.0 shutout innings and made big pitches in his final two innings of work. The Stripers put two runners on with one out in the fourth, but Sadler induced a 4-6-3 double play off the bat of Danny Santana to maintain the 1-0 lead. He stranded two more baserunners in the fifth, as Rio Ruiz lined out to Reyes at second. Gwinnett finally broke through for two runs in the sixth off A.J. Schugel. Sean Kazmar Jr. was hit by pitch and Carlos Franco singled, leading to a two-out, two-run single by Tyler Smith. Indy threatened after the stretch but couldn't tie the game. Stallings singled to center and advanced to third on a Reyes double, but he was doubled off third base on a Wood lineout to second. The offense again left the tying run at third base in the eighth before getting over the hump in its final at-bat.